Freedom of the press is granted for it comes with the huge responsibility of informing society. It is not a license to promote one's bias. On basic education, the record of Philippines' online mass media company Rappler already demonstrates a lack of adherence to truth. 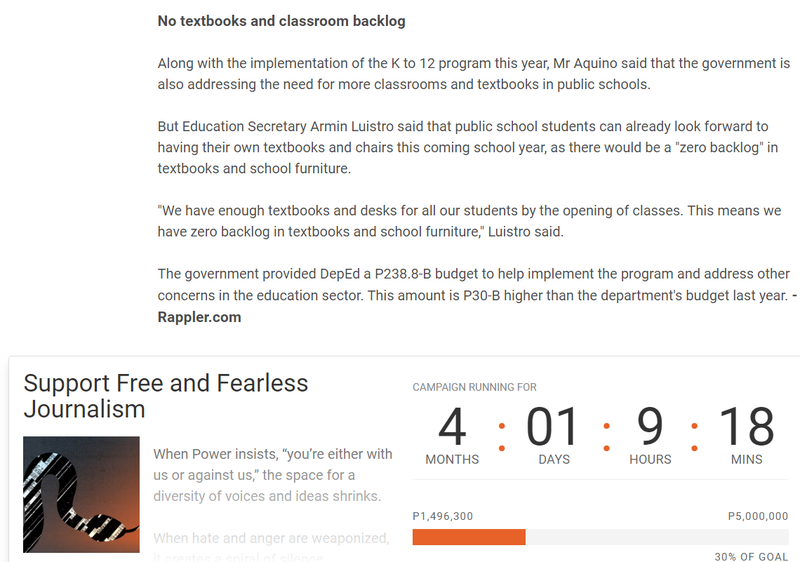 While the country is embarking on an ambitious new curriculum, Rappler has failed to inform the public of the gross unpreparedness of the government. Lack of resources is an exigent reason against DepEd's K to 12, yet Rappler has used its media presence to promote the fallacy that the department is meeting the demands of public schools. There are not enough textbooks. In fact, the next years will show that there are no textbooks. This is clearly not a responsible exercise of the freedom of the press. It is a lie and Rappler is indeed a source of fake news. 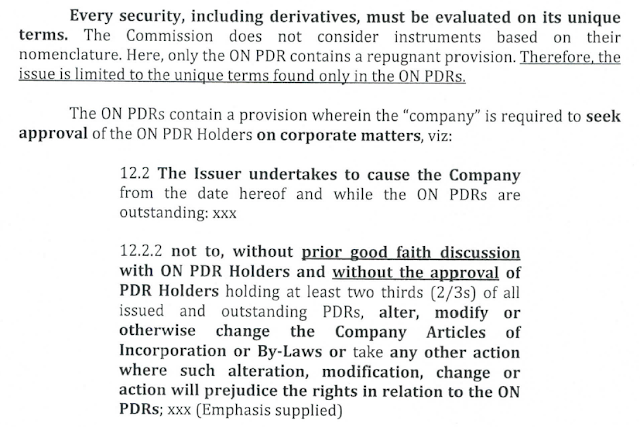 "On 22 December 2017, respondents submitted a photocopy of a purported Waiver of Paragraph 12.2.2 of the Omidyar Network PDR. 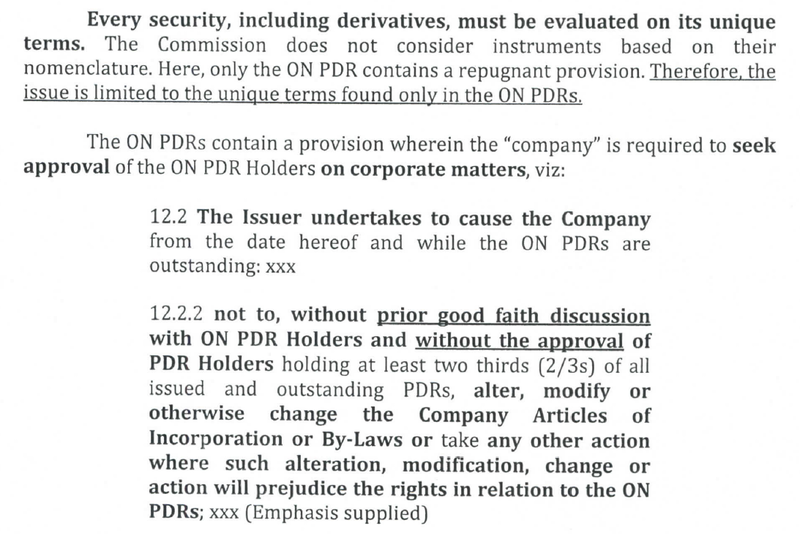 The document is a private one, not subscribed before a Notary or a Philippine Consulate. It was executed as recently as 11 December 2017, more than four (4) months since the start of Formal Investigation. It is obviously inadmissible, a mere scrap of paper." Instead of admitting and addressing how ineptly Rappler has been operated as a business, Rappler's CEO Maria Ressa cries "freedom of the press". 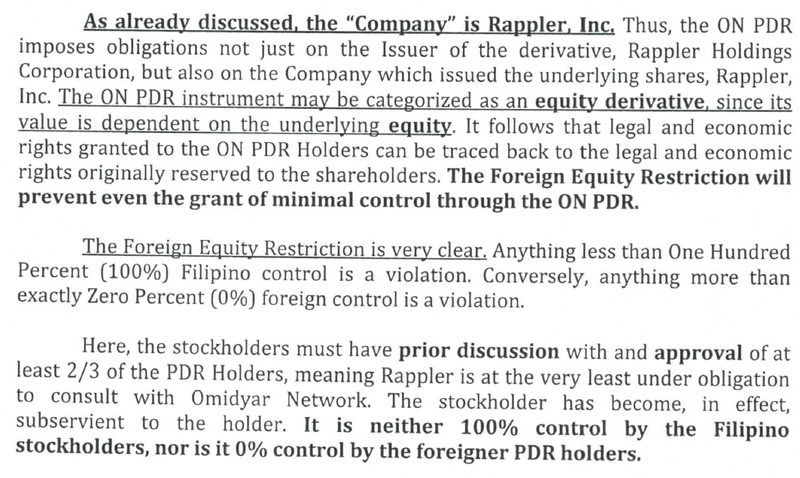 Rappler indeed has not been faithful to the truth but the real reason why Rappler is in trouble is actually different. 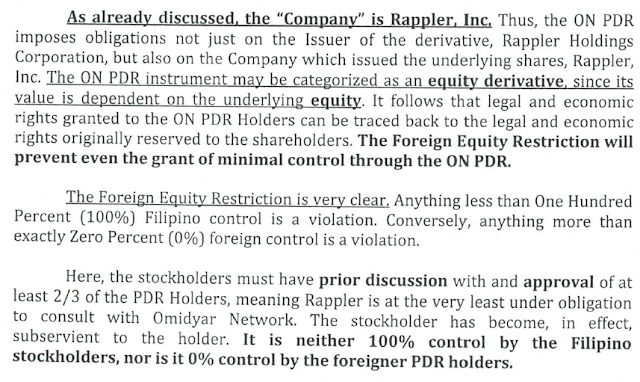 Rappler has been run poorly as an organization so the SEC has decided to revoke its registration. Can We Be Optimistic in 2018? What Is Behind the News? "Is School the Best Route to Skills?"